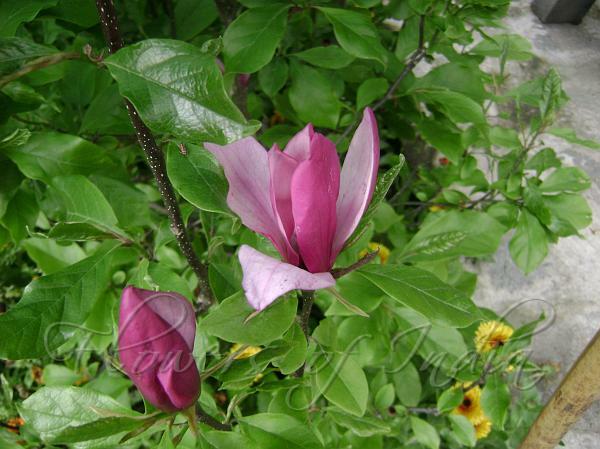 Lily magnolia is a bushy, rounded deciduous shrub which gets up to 13 ft tall with a spread about the same. The leaves are large, up to 8 in long and 4 in wide. The goblet shaped fragrant flowers are pink to purplish, about 3 in across and produced in spring and sporadically through the summer. They look like lilies growing on a tree, hence the common name. 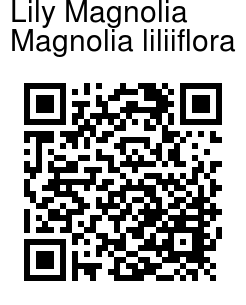 Lily Magnolia is originally from China. It has been reported that the species may no longer occur in the wild.